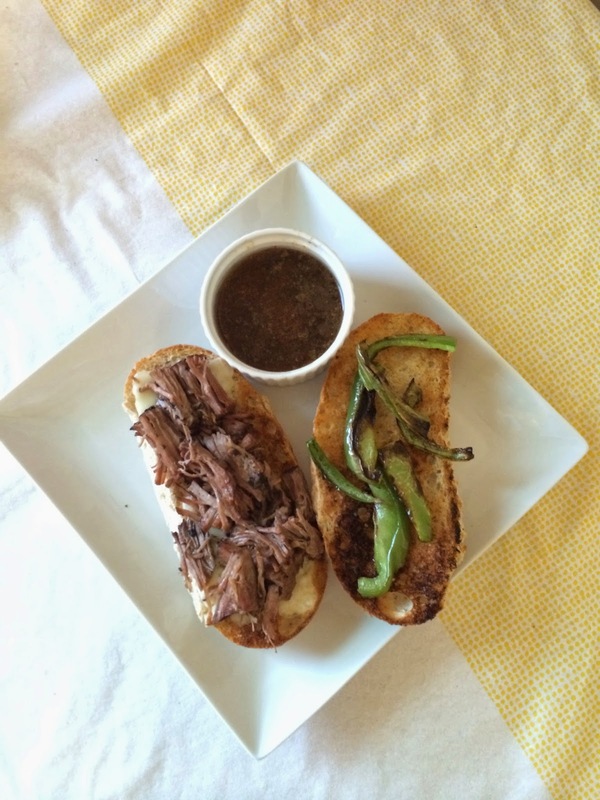 Tanner and I have been wanting to make, or Tanner has been wanting me to make, French Dip Sandwiches. I have searched for some recipes, but none of them really excited me. I decided to snag a few ideas from a couple different recipes, and then kinda make it up as I go. It ended up being super flavorful, and I absolutely loved it! I honestly don't really like French Dip Sandwiches, because I don't like eating soggy bread-but who does? I got a thick wheat hoagie in the bakery, and then toasted them. Since they were a little dry on the edges, I really wanted to soak up some of that sauce/dip . It was fantastic, and I was SO happy with the result! 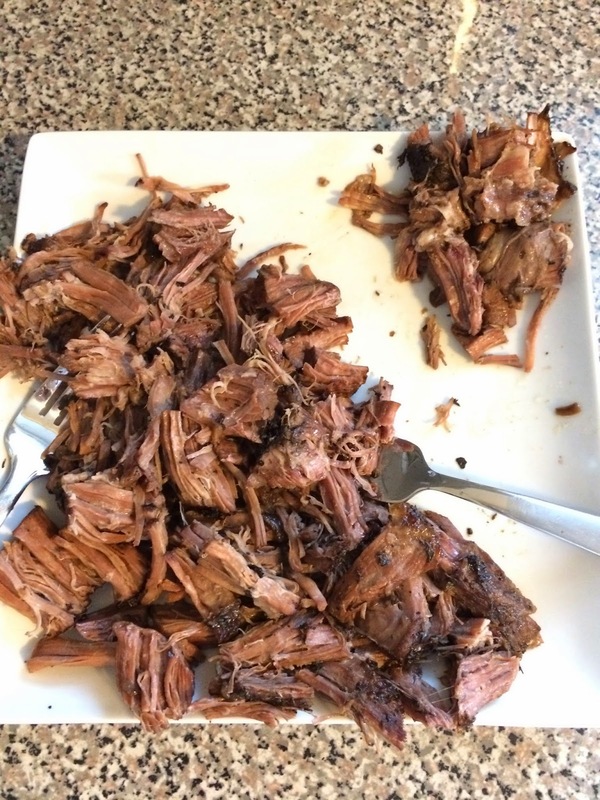 Chuck Roast- I actually can't remember how many pounds I used? I usually just get whatever is cheapest! ^^ Those may not all be a full teaspoon, I really just threw it in. Before placing the roast in the warm crock pot, cut off any excess fat that you see. Then, place roast in Crock Pot and pour the cans of Beef Broth and French Onion Soup on top. Add seasonings, cover lid, and set on low until you get home from work! :) Get home, and have your house smell like a divine onion paradise (but seriously, it smelled so good). Cut & saute' your bell pepper in just a little bit of coconut oil. 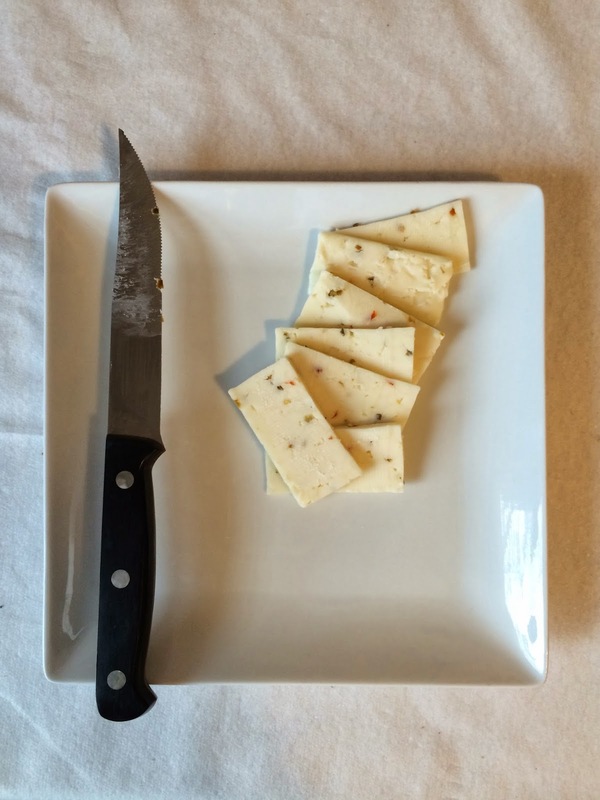 While those are cookin, cut the cheese...hah no really... cut the cheese for the subs. And you can arrange them all pretty, because you're going to put them on the bread in .5 seconds. So, might as well. Next, take the roast out of the Crock Pot, and start shreddin. You shouldn't have to do much work, because it'll pull off like butta. You'll see some fatty and slimy pieces that you didn't see before you cooked it (that's just the lovely part of cooking roast), so trash the yucky stuff. 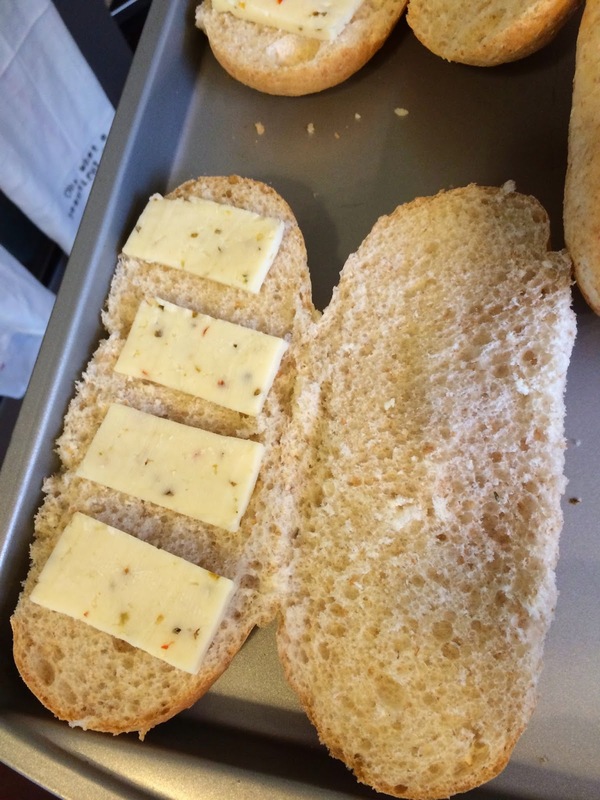 Next, place the cheese slices on your subs, and put in the oven with your Broiler on. But, remember it's on Broil, and don't let them burn like I did. Well, they sure burned all right! That seriously always happens to me...I don't know why I forget every single time? I ended up just taking them out, and placing them in a cooler oven so the cheese could get a lil more melty. While your cheese is melting, scoop some of that AUS JUS (I wish you could all hear my dad say that phrase, you'd die!) into cute little ramekins. Take out your buns, and place bell peppers on one side, and the meat on the cheese side. Add a lil sauce to that meat, because it's been sitting out for a few minutes, and Voila! You're done! Get back in my mouth, please.